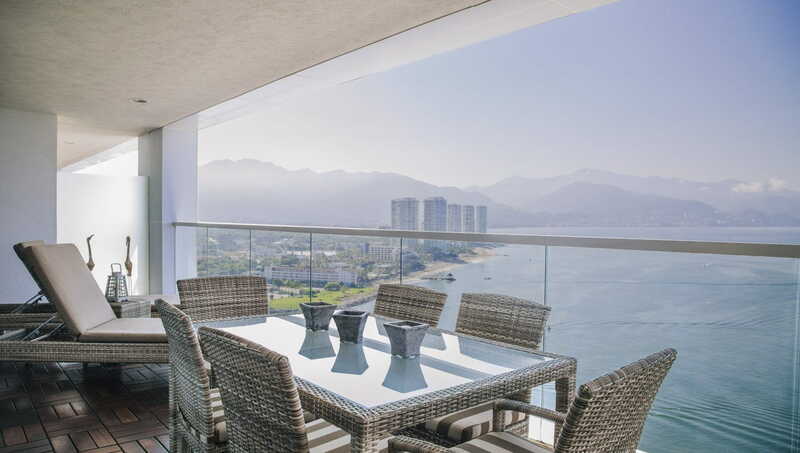 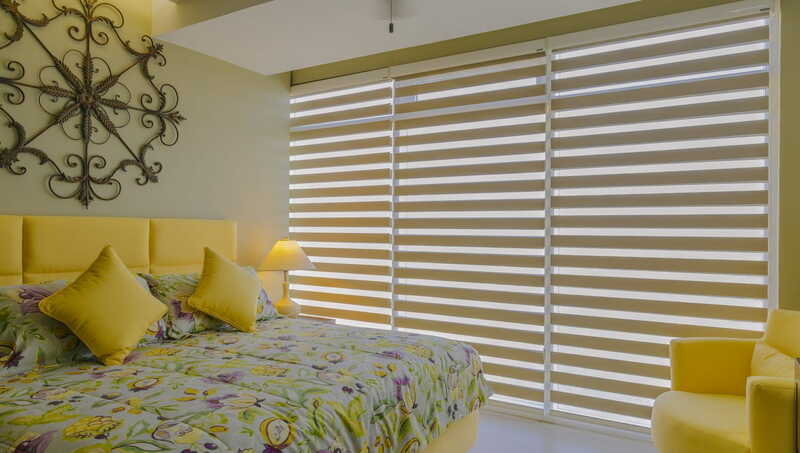 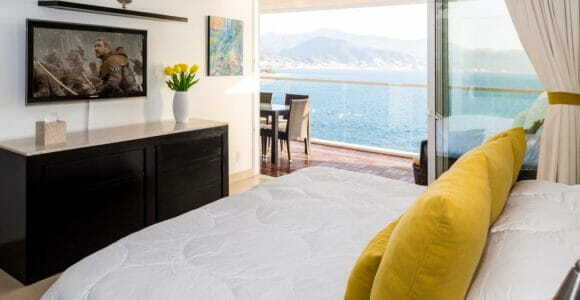 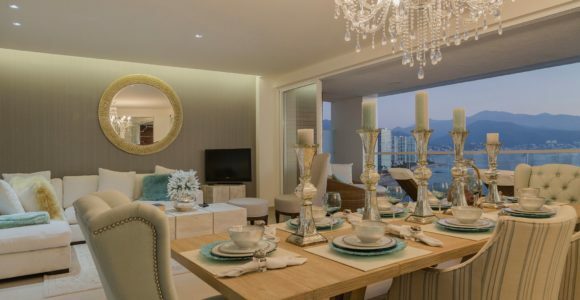 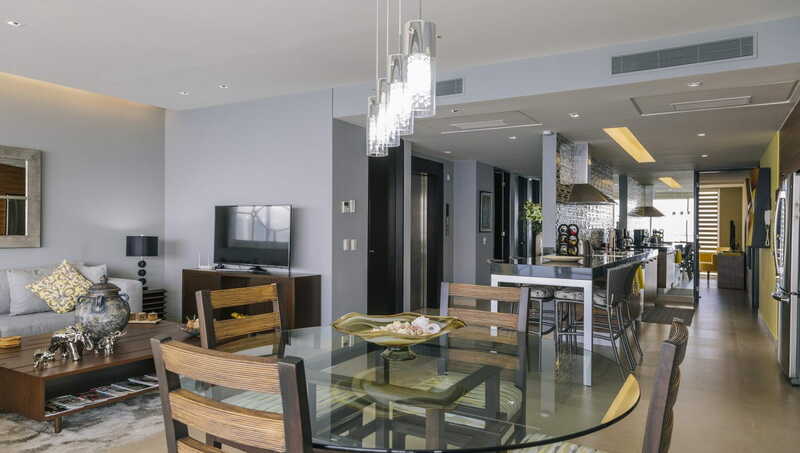 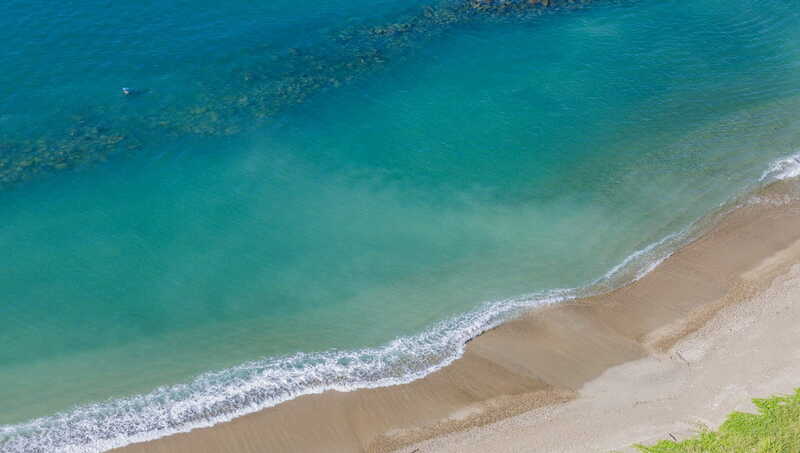 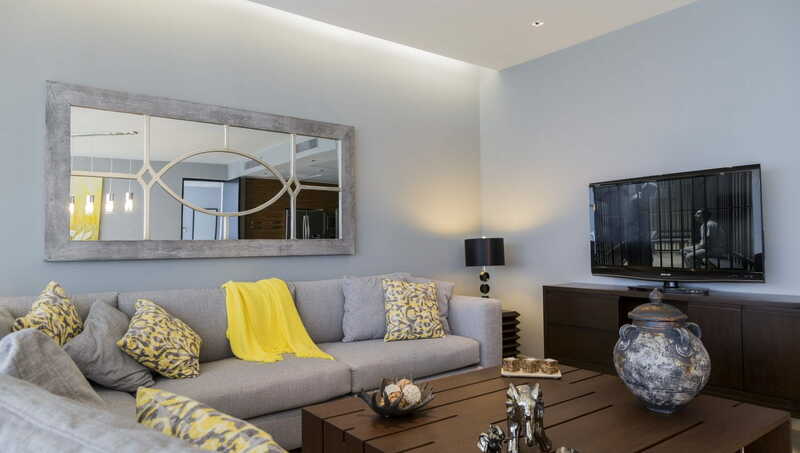 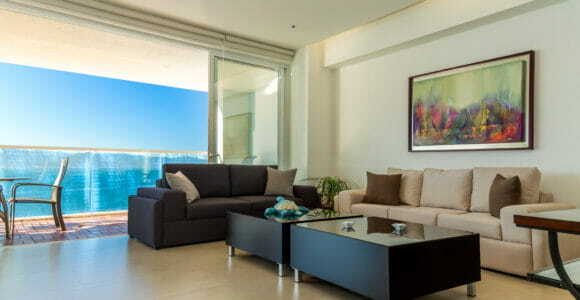 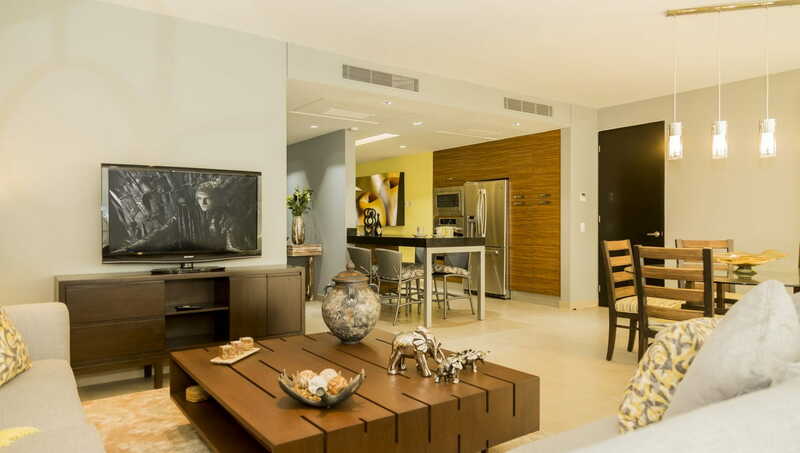 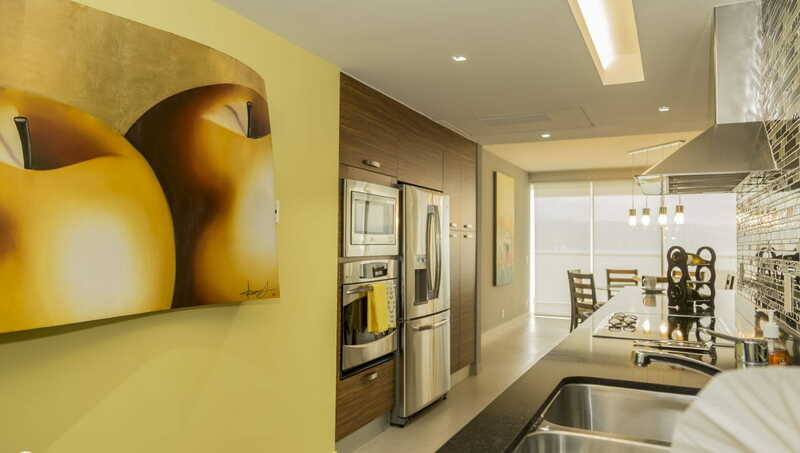 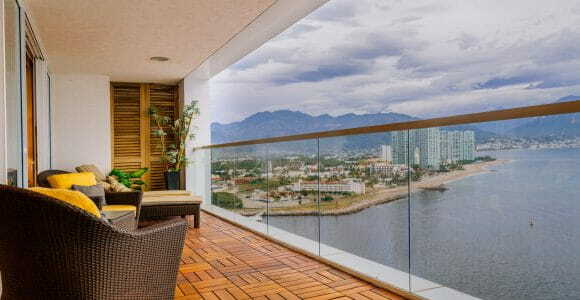 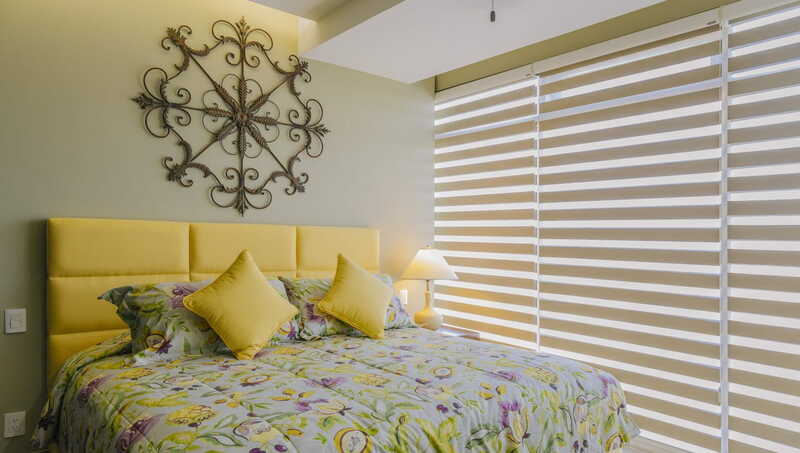 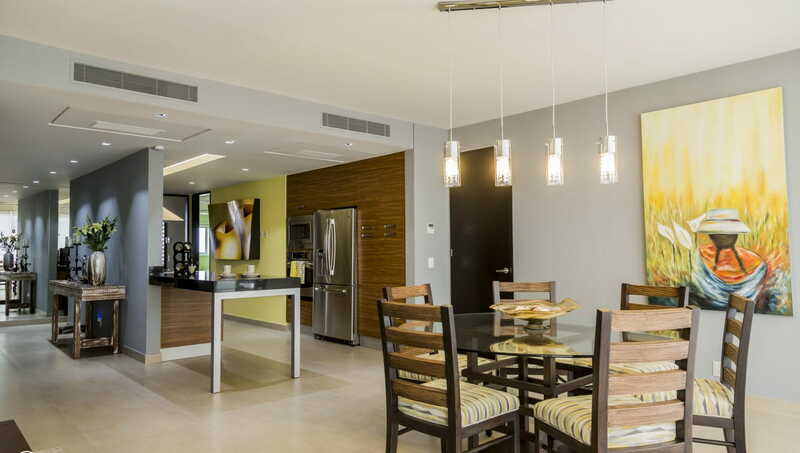 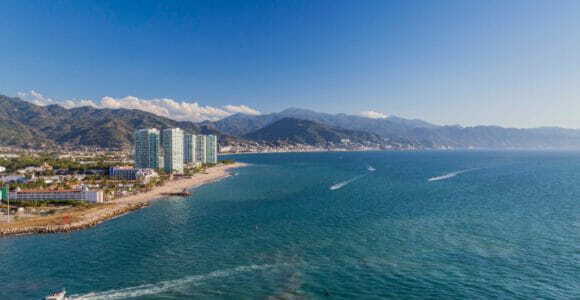 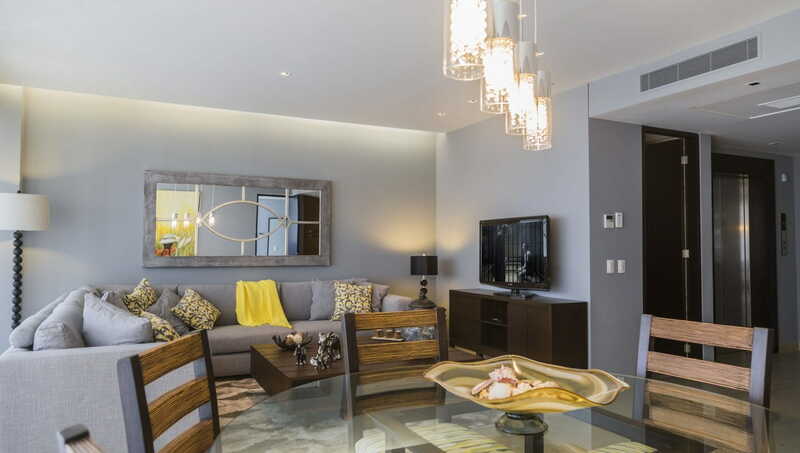 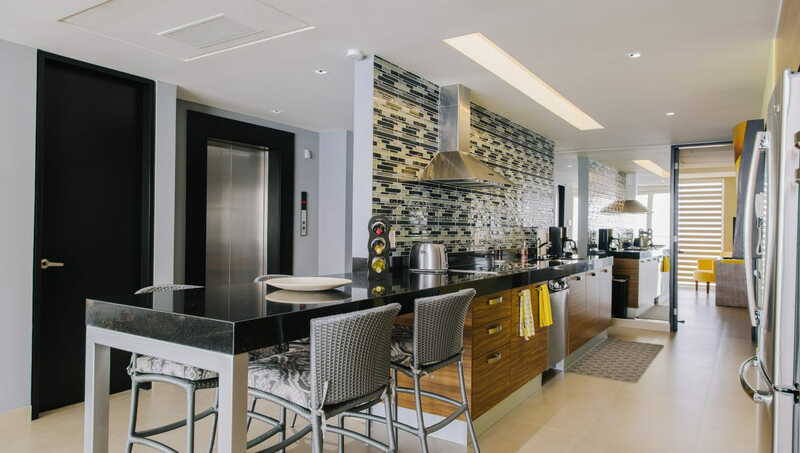 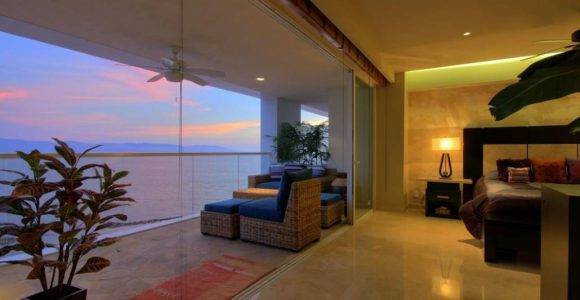 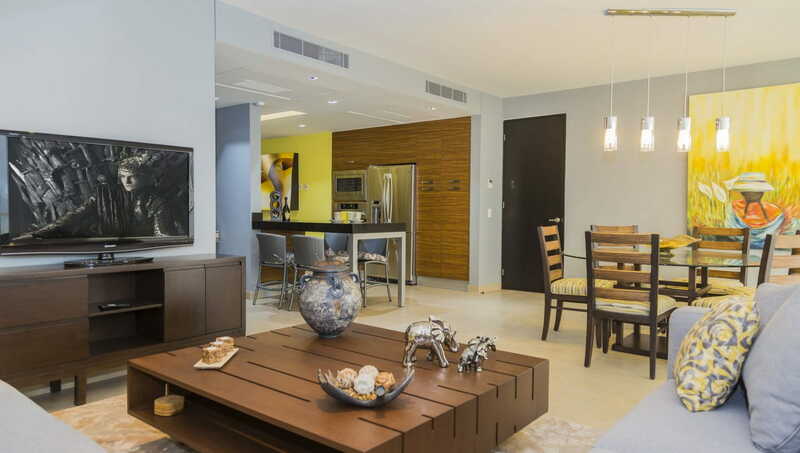 Located on the 18th floor at the luxury Tres Mares B Tower, this three-bedroom, three-and-a-half-bath condo features stunning views of the beautiful Banderas Bay, the Marina Vallarta cruise ships and vessels zone, the Sierra Madre mountains and the city. 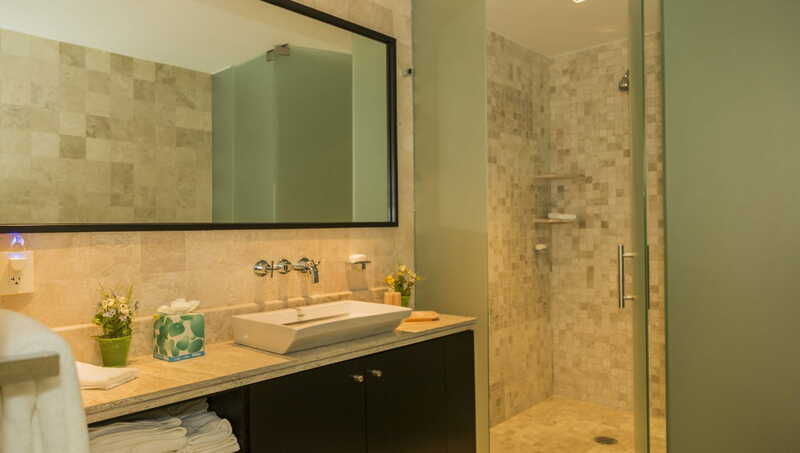 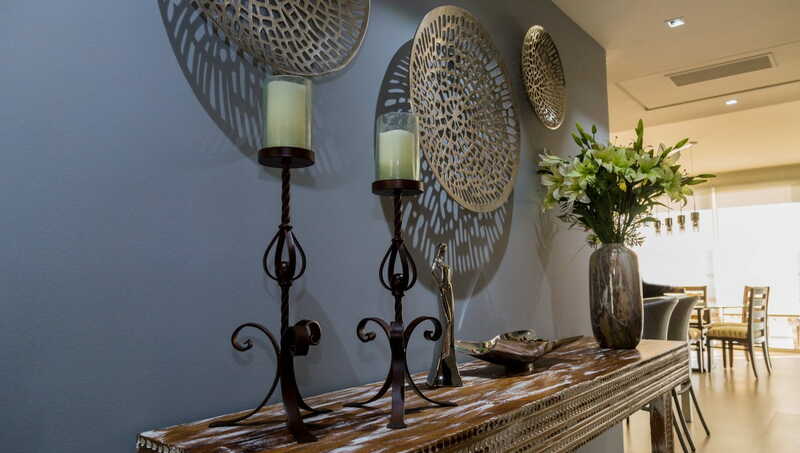 The unit is beautifully appointed, features sophisticated lighting fixtures and earth tone palette decor; creating a welcoming ambiance perfect for a relaxing stay. 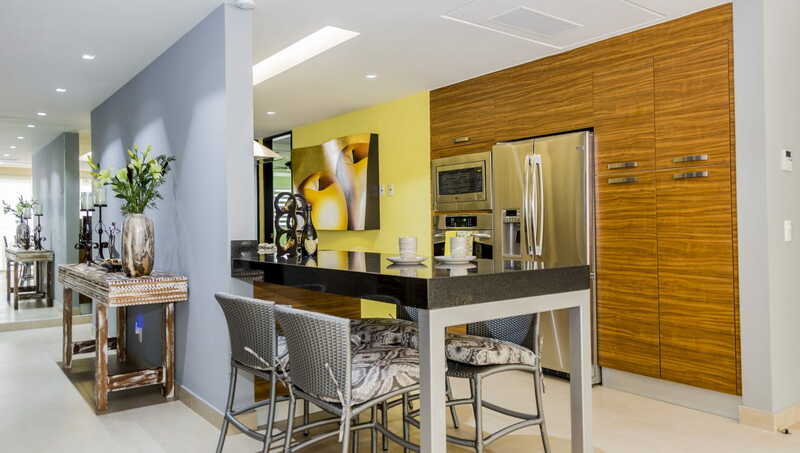 Direct elevator access, terrace, fully equipped kitchen, spacious living room and Jacuzzi are among its state-of-the-art amenities. 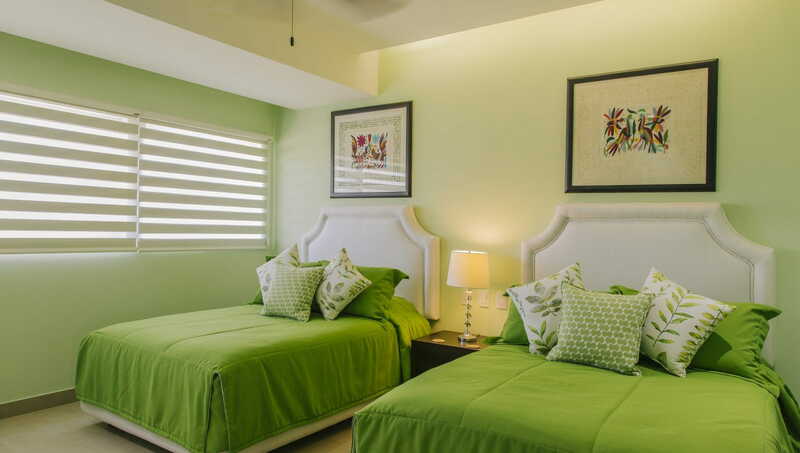 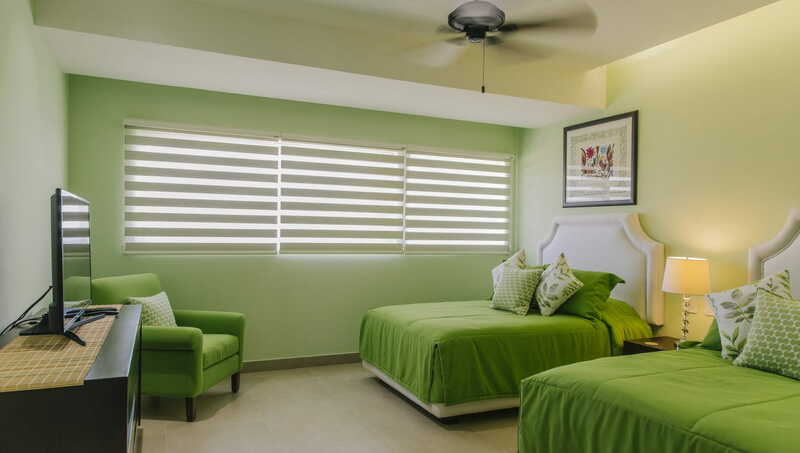 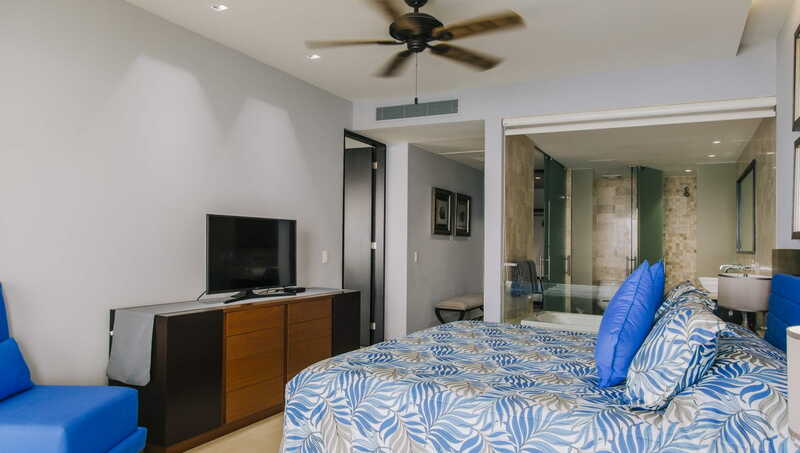 All three bedrooms feature their own flat screen TV, and spacious bathroom and closet. 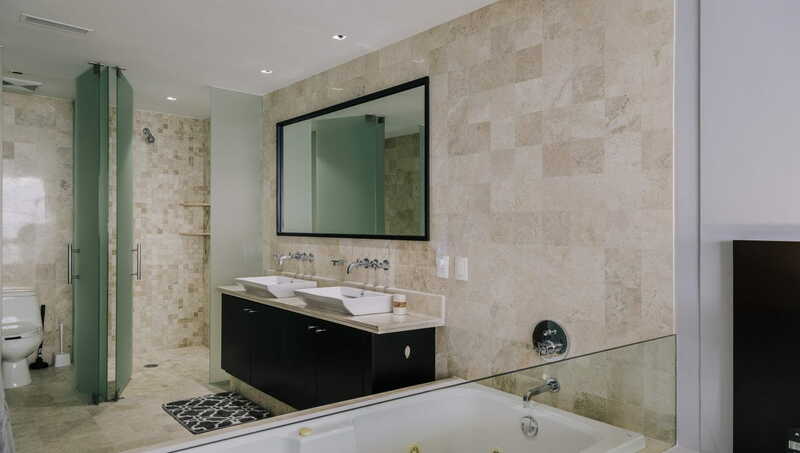 An additional half-bathroom next to the living room is ideal for visitors. 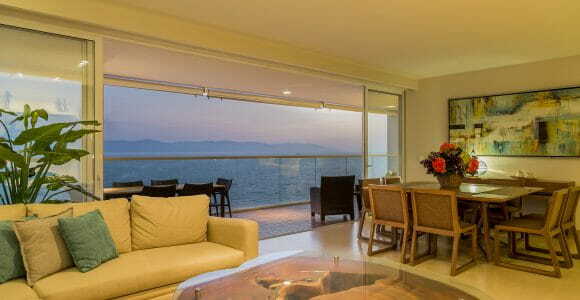 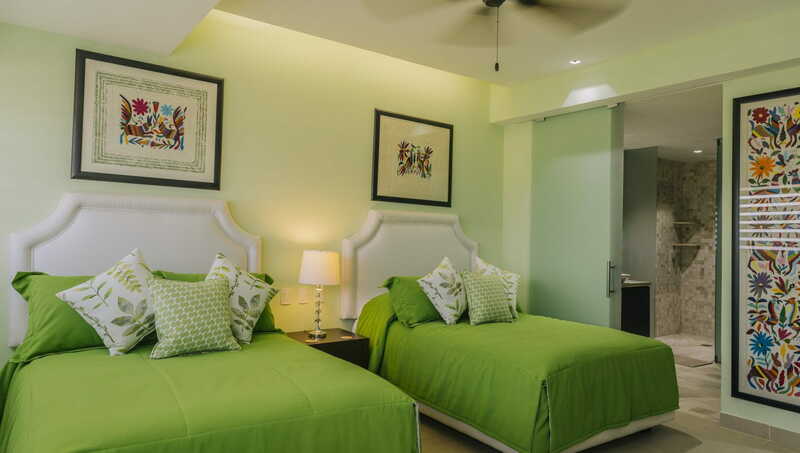 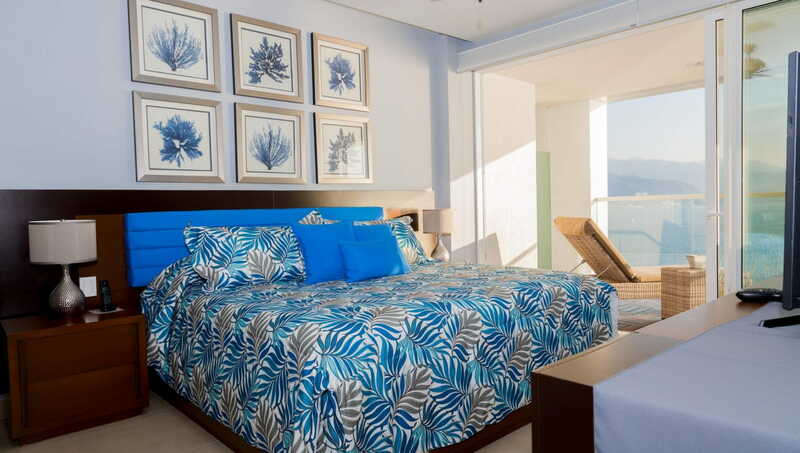 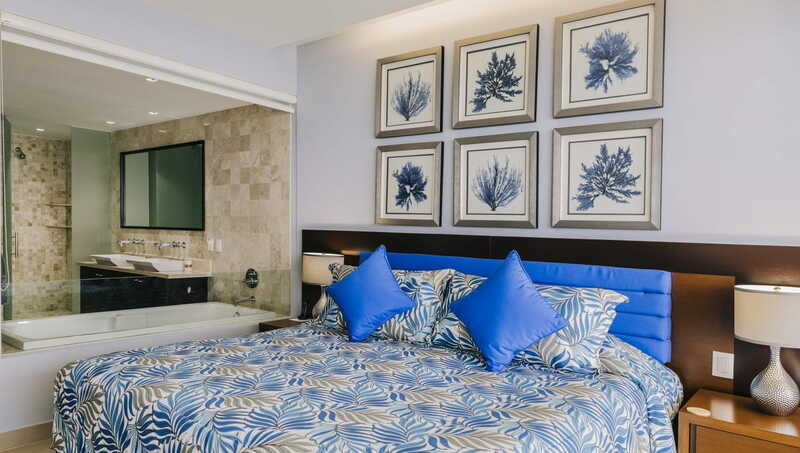 The main room and master bedroom have direct access to the terrace and panoramic views of the ocean and downtown Puerto Vallarta. 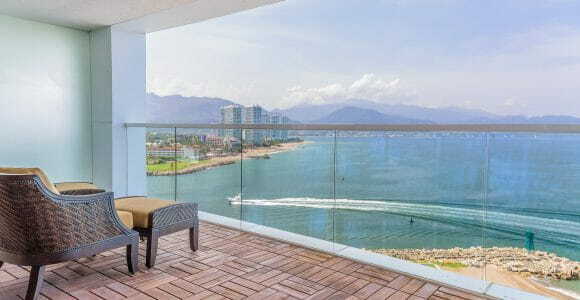 Guests at this beachfront condo will be able to enjoy the Tres Mares amenities such as infinity pool, private beach, spa and health club, tennis courts, concierge service, poolside restaurant and will have easy access to Marina Vallarta, nearby golf courses and the many other prime attractions in Puerto Vallarta.